DuBois lives in Barre, a rural Worcester County town chock-full of scenic views of Central Mass. It serves as a quiet mirror image of Valley life reflected across the Quabbin, just 20 miles from Amherst as the crow flies (although by car, of course, it will take you about 45 minutes to circle around that pesky reservoir). During the Industrial Revolution, Barre became well-known for producing farming equipment. Today, the town is still small — about 5,500 people — and most of its farmland is now in the care of Carter & Stevens Farm. For five generations, Carter & Stevens has survived the changing times by diversifying like crazy. 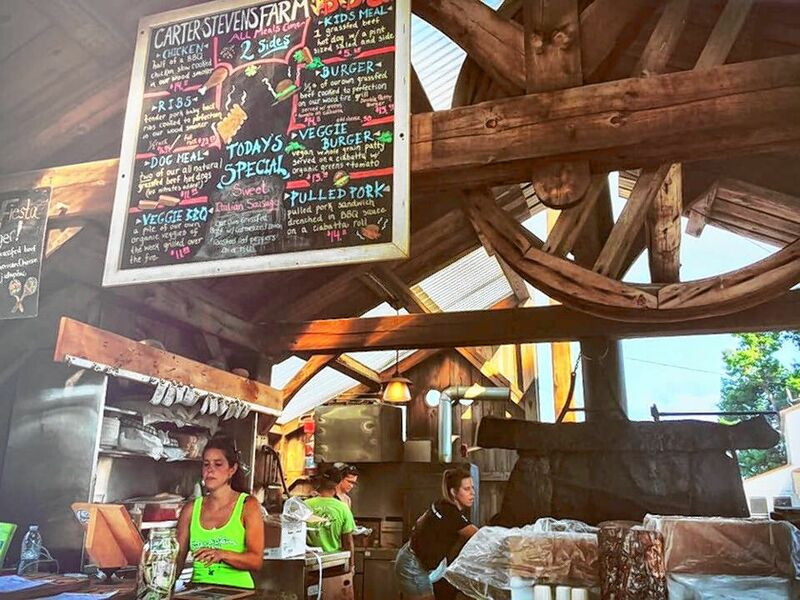 The farm grows a wide variety of produce, boils maple syrup, sells firewood and horse hay, raises livestock, sells ice cream, runs a CSA, holds barbecues all summer long, and hosts major crowd-pulling events like an annual Spartan Race (which, this summer, drew 13,000 people in two days). The family business now has a staff of about 30, keeps about 200 cows for milk and meat, and tends to 1,000 acres of land. This is the family business that Sean DuBois, who is originally from Worcester, married into 13 years ago. 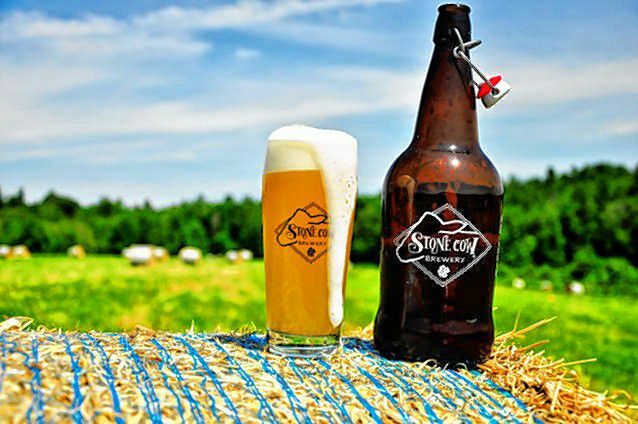 And it’s thanks to him and his wife Molly — who grew up on the farm, and who long dreamed of opening a brewery here — that Stone Cow Brewery opened its door last July. 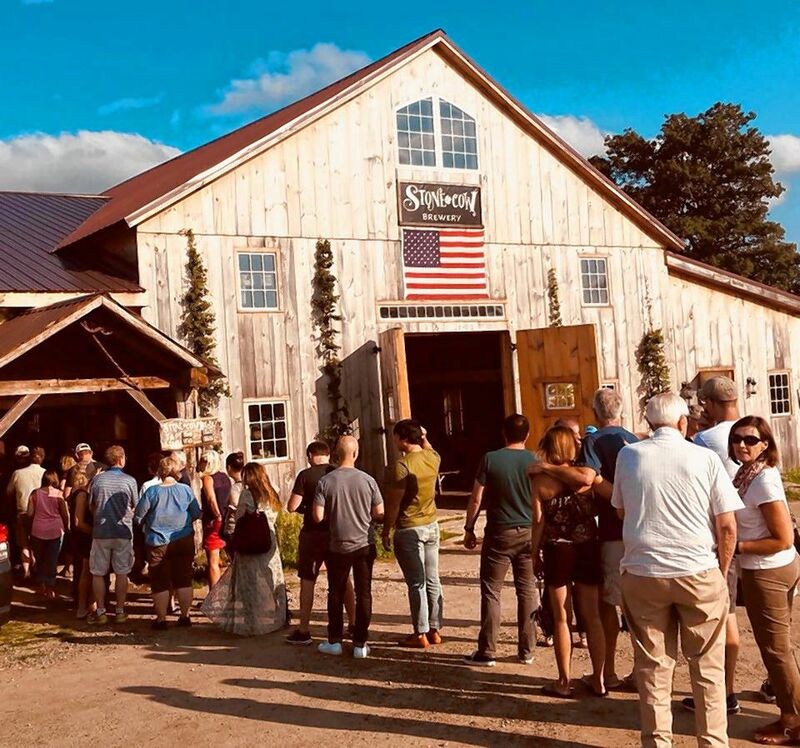 As far as this Beerhunter can tell, it is the only full-scale brewery on a working commercial farm in Massachusetts. About six years ago, the couple started visiting area breweries, eager to learn how they might open one themselves. In many ways, brewing is similar to dairy farming, from the piping and stainless steel tanks to the vacuum pumps and glycol chilling — often, brewers and farmers even wear the same high rubber boots. But the connections run deeper. In other words: beer farming is back, baby. Technically, most breweries in the state hold what’s known as a “Farmer Brewer” license. This was created back in 1982 to encourage the development of domestic farms and the use of local ingredients, at a time when Massachusetts had no breweries at all (Harpoon Brewery acquired the state’s first brewing permit in 1986). The law does not quantify exactly how much of a brewery’s ingredients should be sourced locally (or, at least, within the state). 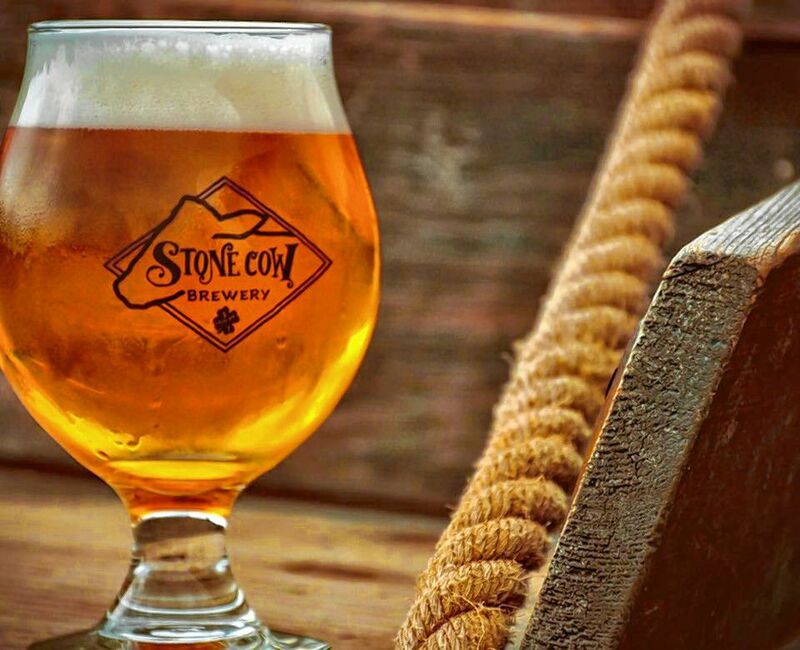 But Stone Cow Brewery is wholeheartedly committed to the concept. 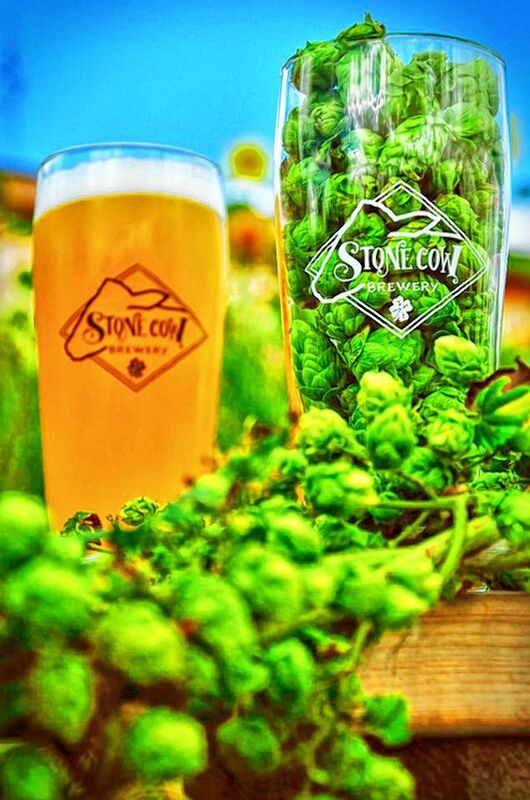 Most of the hops used by Stone Cow come from Four Star Farms in Northfield, but Carter & Stevens Farm also planted 500 hop plants last year, which will begin to yield real hop harvests over the next year or two. The family is also experimenting with growing barley and rye. Over the past year, head brewer Chris Courtney has used the farm’s maple syrup in a brown ale and picked elderflowers from this property to brew a raspberry elderflower beer (with Hadley raspberries). Local harvests of blueberries, cranberries, spruce tips, and wild grapes went into other brews. Even foraged nettles made it into a recent saison, blended with dandelion. 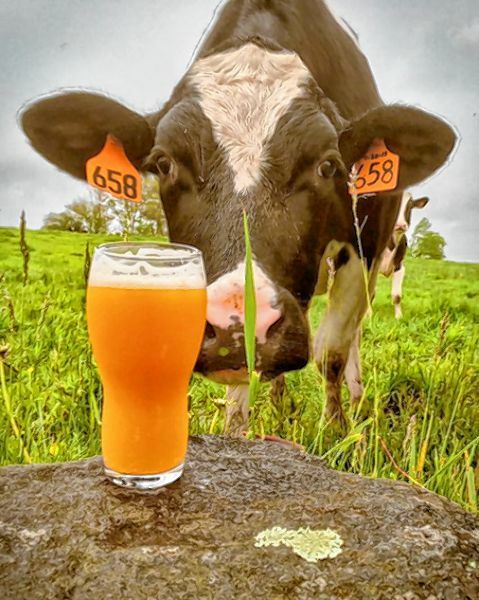 Alongside Stone Cow’s most popular and more traditional beer styles — which include a crisp and smooth unfiltered pilsner, a delicious Citra dry-hopped IPA called Roll in the Hay, and the brewery’s signature Cow’s Out Milk Stout served on both carbon dioxide and nitro taps — the taproom offers between seven and 13 styles of beer on any given day. Courtney brewed at Harpoon in the mid-‘90s, then worked at Back Bay Brewing Company in Boston, Wormtown Brewery in Worcester, Pioneer Brewing Company in Fiskdale (now Rapscallion Brewery), and nearby Wachusett Brewing Company in Westminster. “I’ve run the gamut so far,” Courtney says. “It’s really helped to have worked at brewpubs, because I’ve had the chance to assist on a lot of different styles of beer, from German beers to English ESBs to American IPAs.” He adds that visitors should expect a Kolsch and an English porter this fall. For now, Stone Cow’s farm-brewed beer is only available for flights, pints, and growler fills at the farm (the taproom will be open Thursday to Sunday during these colder months). Sometime down the road, it’s possible that Stone Cow will start canning, and even distributing, but DuBois is hesitant to push too quickly. The Beerhunter runs monthly. Contact Hunter Styles at hstyles@valleyadvocate.com.